ASCENT Foundation aims to identify high-potential, growth-ready entrepreneurs and enable them to grow their enterprise based on experiential learning. Harsh Mariwala, Founder, ASCENT Foundation, leads Marico Limited as its Chairman. He is also Chairman & Managing Director of Kaya Limited. 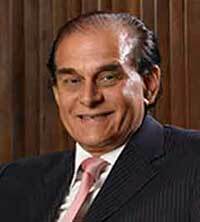 Over the past three decades, Harsh Mariwala has transformed a traditional commodity-driven business into a leading consumer products and services company in the Beauty and Wellness space. Under his leadership, Marico & Kaya have received more than 280 awards in the last few years. Harsh Mariwala started ASCENT in 2012, a not-for-profit expression of his passion to create a unique trust-based, peer-to-peer platform for high-potential, growth-stage entrepreneurs that leverage the “power of the collective” and enables them to share and exchange experiences, ideas, insights, and create a healthy ecosystem to learn from each other and grow their enterprise. In an interaction with Shweta Papriwal, Editor, IIFL, Harsh Mariwala, Founder, ASCENT Foundation, he said “After being entrenched in a corporate setup for almost 3 decades, I am now doing my part to give back to the society”. What was the driving factor behind the establishment of ASCENT Foundation? Entrepreneurs add immense value to all stakeholders, however, the journey of an entrepreneur is lonely and daunting. To give you my own example, I started my business at a very small pace and I realized that as one progresses from small to medium to large size, every entrepreneur has to adjust to shifting their focus on changing roles and processes. Many entrepreneurs struggle during these phases, mainly due to the lack of opportunities to discuss business growth or the lack of a sounding board. It is, therefore, imperative that we do something that allows entrepreneurs to grow and thrive in a positive and trust-based environment. The first step towards building this ecosystem is to provide a platform with like-minded entrepreneurs that serves as a sounding board wherein they are able to make decisions towards their personal and business-related growth. With this in mind, I started ASCENT Foundation, a not-for-profit which is based on the concept of peer-to-peer learning. ASCENT Foundation aims to identify high-potential growth-ready entrepreneurs and enable them to grow their enterprise based on experiential learning. The aim here is to play a catalytic role in helping entrepreneurs scale and enrich their journey. If I am able to help hundreds and thousands entrepreneurs grow, then I am doing by bit of giving back to the society. What is the procedure of selecting ASCENT Members? Do you have certain fixed criteria for assessing the candidates? The Foundation focusses on business leaders who have been able to successfully demonstrate growth in their businesses. We look at members who have businesses with a minimum annual turnover of Rs5cr and above for manufacturing/product companies and Rs1cr and above for a services-led business. Based on the online applications received, the ASCENT executive team evaluates each application thoroughly and shortlists members who are then called for a group interaction and personal interview. Based on a cumulative assessment (held by the ASCENT team and ASCENT Foundation’s member driven Governing Council), the selection panel finalizes entrepreneurs who are inducted in as ASCENT Members. Once selected, members are either placed into an existing or completely new “Trust Group,” which constitutes of 10-12 entrepreneurs from non-competing diverse businesses. Over the past six years, ASCENT has received over 1,200 applications out of which we have inducted 385 entrepreneurs from 65 diverse industries and sectors. These 385 entrepreneurs are spread over 33 active Trust Groups. 50% of our members are from a business setup, while the rest 50% are from the services industry. Typically, we have members who are generally of 25-60 years of age. The spectrum of annual turnover ranges from Rs1cr to Rs2,000cr. When put together, our member’s aggregate annual turnover would be ~Rs16,000cr. Who leads, guides, and facilitates these Trust Groups? The true value proposition of the ASCENT Foundation is that it banks on the sustainability and commitment of the entrepreneur members in Trust Groups. The Trust Group acts as a peer advisory board, consisting of 10-12 entrepreneurs from non-competing diverse industries, segmented by enterprise stage and size. The meetings are held once a month for three hours, wherein members engage in conversations in an atmosphere of confidentiality, trust, and openness to share each other’s business and personal experiences. To ensure that each Trust Group is running at an optimum level, the ASCENT Foundation executive team provides a basic framework and training on how to run a Trust Group and share effectively. Each new Trust Group is initiated for the first four months by an Initiator who is a facilitation expert or a trained ASCENT member. Two members selected as Group Facilitators by the Initiator undergo a one-day training on the art and science of facilitation. They are the custodians of the process and ensure their Trust Group is functioning seamlessly. We also have an online portal platform that connects all the members in the ASCENT community, created with the objective of facilitating interaction between members–within and across Trust Groups. This apart, the ASCENT Foundation executive team provides peripheral access to relevant growth enablers, who are individuals and firms with specific expertise and professional experiences such as consultants, VCs and investors, law firms, HR experts, mentors, and coaches. Further, the ASCENT team creates curated events focusing on relevant and deep insights in terms of content. From Marico to ASCENT Foundation, how has your journey and vision transformed? After being entrenched in a corporate setup for almost 3 decades, I am now doing my part to give back to the society. I do believe that first-hand entrepreneurial experience is very powerful personal asset. I have had many learning curves while going through the growth phases every entrepreneur faces. I realize that the basic challenges of running a business have not changed much and entrepreneurs still struggle with areas such as attracting the right talent, team building, and business strategy. Entrepreneurs may have newer tools to address challenges due to disruptions in technology, but largely, the issues remain the same. However, next-gen entrepreneurs have the option of being a part of peer-to-peer platforms–a concept that when I started my entrepreneurial journey wasn’t as common or popular. Peer-to-peer platforms allow the free flow of thoughts, views, perceptions, and approaches an entrepreneur can adopt and implement in his/her business. Several non-measurable learnings can emerge from conversations with like-minded entrepreneurs. These diverse views can trigger blind spots for an individual. If an entrepreneur is able to identify his/her blind spots and make amends, it can enrich his/her personal and entrepreneurial journey. Are the members established entrepreneurs or you also facilitate start-ups? At present, ASCENT focusses on entrepreneurs who have been able to demonstrate a proven business model that is profitable and scalable. Members are usually entrepreneurs with an annual turnover of Rs5cr and above for a manufacturing/products business and Rs1cr and above for a services business. At present, we do not onboard start-ups, because startup entrepreneurs are caught up with challenges related to day-to-day operations, as opposed to scaling up, unlike SMEs and MSMEs. This makes it challenging for them to commit to a Trust Group model. How do you meet the expenses of the foundation, if any? The ASCENT Foundation is a not-for-profit initiative personally funded by me. The set-up cost has all been borne by me. Each Trust Group bears its own running costs. The members of the Trust Groups, collectively and unanimously, decide their own group budget, thus creating a feeling of ownership and personal investment in the Group’s growth. Since April 2018, we have introduced a one-time, non-refundable deposit of Rs15,000 applicable to new members. This deposit can be redeemed against events organized by ASCENT within a three-year period from the date of joining. ASCENT periodically organizes exciting curated events such as the Annual Conclave, Mixers, Workshops, Huddles, etc. Does the foundation provide any required training to the members? As mentioned earlier, the ASCENT Foundation team hosts periodic sessions such as the ASCENT Huddles and Mixes wherein entrepreneurs of different Trust Groups come together to interact and network. During these initiatives, we try to identify key issues entrepreneurs are keen to deep-dive on. For example, if social media engagement is a requirement, we identify an industry expert who can come and conduct a session on social media marketing. These sessions are curated in a manner such that relevant burning issues of entrepreneurs are addressed. We also have the ASCENT Power-Up programme wherein ASCENT helps members to interact with thought leaders and have one-on-one discussions to address their challenges. The experts who have been empaneled with us are ex or present CEOs of top companies and industry experts who are happy to render some time in helping new-age entrepreneurs grow. This initiative has added lot of value to us. We recently held a fundraising bootcamp where venture capitalists and finance experts gathered to discuss various aspects of fund raising. We have also initiated the iRise programme, where if an entrepreneur wishes to raise money for his/her business, he/she can apply to ASCENT where the shortlisted applications pitch for funding in front of a panel of investors. From a continuous learning point of view, we have collaborated with SP Jain and Stanford University’s Stanford Seed Transformation Programme to provide our members access to its programmes. We also hold the annual flagship event, ASCENT Conclave, that allows entrepreneurs to meet industry-recognized business leaders who share their own entrepreneurial journey and learning experiences. The Conclave, thus far, has been extremely helpful to many entrepreneurs as hearing how other entrepreneurs face and overcome similar hurdles can be extremely inspiring. This year, we are hosting the ASCENT Conclave 2018 on 22 November, 2018 in Mumbai. This will be a full-day experiential learning opportunity, which is expected to be attended by 500 entrepreneurs to give them a chance to meet and interact with our country’s Thought Leaders and Change Makers and network with the like-minded entrepreneurial community.